BMI Diamond Club members received an e-mail yesterday confirming what most people already knew – that holders of Lifetime Gold status under BMI were getting nothing special from BA, that BMI gold card-holder upgrade vouchers are no longer valid (even on flights which still have a BMI flight code) and that Europcar and Purple Parking are no longer BMI partners. I suppose we should be grateful that the remaining perks such as redemptions on Virgin Atlantic are (at least for now) still available, but anyone planning on a VS redemption should get a move on. The information in this post re Europcar should therefore now be ignored. It is difficult to know how to feel about this. These moves are certain very sudden – I’m sure people had eGUV’s in hand to use tonight, and probably prepaid Europcar bookings as well. On the other hand, it is difficult to say what exactly IS a BMI flight now given that most are losing their BMI flight numbers – flights booked on a BMI code are being cancelled and immediately rebooked with a BA flight number. The plane may or may not be repainted in BA colours. I’m sure there will be similar gripes about the loss of Lifetime Gold, but I’m not sure what else BA could have done – most Lifetime Gold’s will have flown the majority of those miles on other Star Alliance carriers anyway. At the end of the day, remember that BA has been very generous with the takeover of DC – most forum commentators were expecting a Diamond Club to Avios conversion of worse than 1:1, if at all, and certainly not a direct Gold to Gold status match. And now it is clear that the match can be for as long as 23 months if you time it right, and includes a soft landing to Silver and Bronze. Really, there is nothing to complain about there. Please note, we are implementing a “status freeze”, which means that until further notice no Diamond Club members will be downgraded from their tier level as at 14 June 2012. Whilst this appears generous (and for some people will work out well, especially those who can now delay doing a BA status match until their BA membership year ticks over), I think BA sees it as another way to kill off Diamond Club. After all, if you don’t need to requalify for DC status, there is no point crediting your flights there. 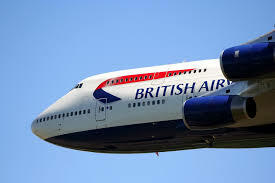 Meanwhile, BA is offering Europe and Africa based Executive Club members double miles on certain ex-BMI routes from 4th July to 31st August, with a maximum of 10 sectors qualifying. Given that this is hardly the most generous promotion ever, and in any event requires registration by the BAEC member before it kicks in, it seems odd to restrict it to non-UK members. FWIW, I also had to cancel a Diamond Club redemption today. It was very straightforward, and you would hardly have known BMI has been taken over. I got the same Indian call centre, the same ID process and my flights were cancelled for the standard £25 per person fee. The miles are already back in my account, and hopefully the taxes will soon be returned too.